Do you run a growing online store or have a ton of videos on your website? More importantly, do you know how this affects your hosting needs? Some sites can get by on a shared hosting plan, but as your site grows you’ll discover you may require a different hosting solution. But how do you know if you need VPS software or a dedicated server? What about a shared, fully-managed option, or perhaps cloud hosting? 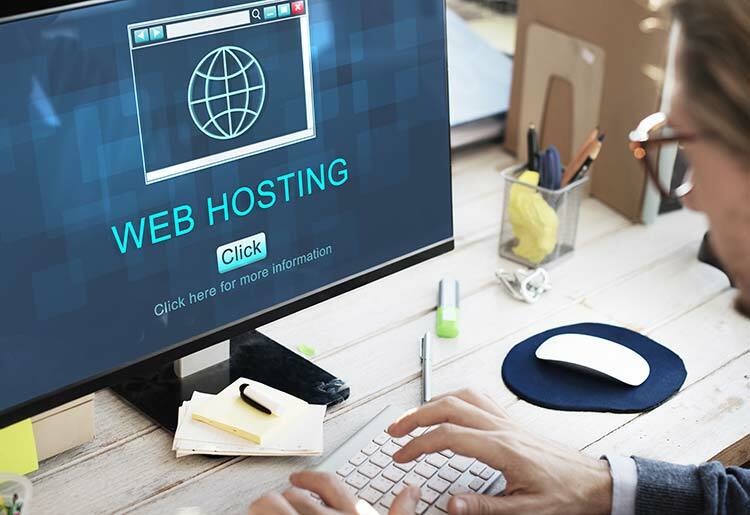 When choosing a hosting company for your business or personal website, you need to know what features to look for and which types of servers are out there. Some web hosting companies offer great deals, including a wide variety of features in your hosting package price. Others have a basic package with a pricing system for additional features. They might charge extra for features you’d find included with other companies. Read on for tips on evaluating each type of server on the market and their associated costs. Why are you building a website: is it for business or fun? What kind of site is it: a blog, a portfolio, or maybe an online store? For example, you may have an online shopping cart which requires a dedicated IP address and SSL certification, or a customer management system to keep track of clients and leads. If your site is content based, however, your main priorities will include the site builder and templates. Shared Hosting is perfect for gradually growing websites. You can scale up bit by bit without paying for redundant space. Yet, it is less suitable for websites that may receive sudden jumps in traffic or require super-high level security. VPS is useful for expanding sites and will help you ensure you’ll have enough space as your business grows. Dedicated Server should be your go-to choice if you’re working with multiple sites, lots of media and traffic, and you have the budget. With all the unlimited space and bandwidth packages out there, you may think anyone who upgrades from shared hosting is crazy. Unfortunately, providers are using the word “unlimited” very liberally. It’s assumed that 95% of domains on shared hosting have very low requirements, so it isn’t worth capping. In case you go over what they deem to be reasonable usage, they’ll get in touch. So, if you want more than one domain, high storage capacity, video streaming, heavy features, etc. shared hosting is likely a bad fit. Many companies offer support 24/7, 365 days a year. Sometimes ticket systems exist to prevent you from contacting the company directly. Some people prefer this method since it prevents waiting in queue. Others prefer to wait but be certain they’ll talk to a person when they get through. The company should give you the option to email, live chat or call. Don’t confuse sales support with technical support – if you’re opting for VPS you will need particularly efficient support methods. There will rarely be any problem with a shared account, but VPS software configurations are totally at your discretion and therefore leave much room for technical issues. In most cases, the type of hosting you select doesn’t affect the free apps provided with your hosting service. These include CMS programs like WordPress, Joomla and Drupal. There are apps for galleries, blogs, forums and video streaming, etc. You’ll also get an email box with antispam software and the capability to create multiple email users on your domain. Then you have the more technical apps like site analytics and error logs, to help improve your site’s performance. Some packages will include an SSL certificate or shopping carts, and if not they can always be purchased as an extra. These should not be a factor in deciding which hosting type to choose. When in doubt while choosing a server type, go smaller than you need – you can always upgrade! Companies will be glad to help you migrate over to a more expensive option because they’re profiting from it. Even if you have a bottomless budget, dedicated hosting is only worth it if you really need it; it requires a lot of maintenance and could provide more stress than relief. Want to dig deeper into your hosting options? Check out our feature-comparison of the top hosting companies. Our editorial staff is comprised of writers who are knowledgeable about business services. We specialize in simplifying the process of choosing the right hosting service for your business.